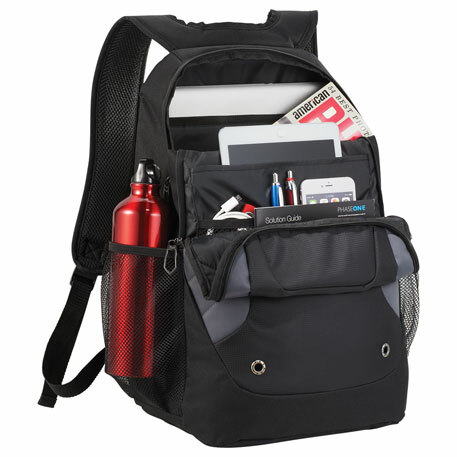 Zippered main compartment holds up to 15″ laptop. Mesh slash pocket on interior wall to hold all of your tech accessories. Large zippered front compartment offers deluxe organizational panel. Front panel is accented with grommet and stitched details. Side mesh water bottle pocket. Webbing grab handle and trolley sleeve. 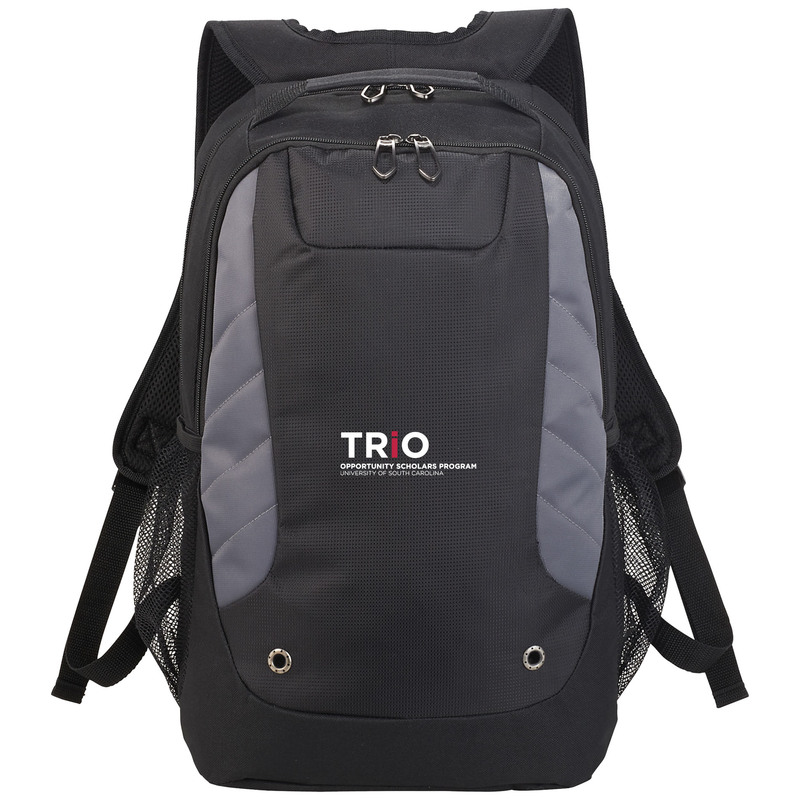 Padded and adjustable shoulder straps. Custom designed zippered pullers.